I would swear that Rally Australia was only like a week ago, but apparently it’s been two months already and it’s time to start the 2019 season with Rally Monte Carlo. Jeeeeeez. Not gonna lie, last year was tough for me from an organizational standpoint. My work hours increased by over 20% and all non-work things suffered the consequences, Fantasy WRC included. To those who were on the notification list, you have my most sincere apologies. There were times I wondered if I should just call 2018 the final season of Fantasy WRC. Fortunately work has, at least for the moment, become more sane, so hopefully I will be able to keep up this year. I enjoy doing this, so I’m certainly at least going to try my damndest. Like the WRC title itself, the Fantasy title came down to the last event, with a tight battle for the championship. In the end James Beckett managed to hold off Shane Hutton and Hot Dog McKoy to take the title by 16 points. The Hot Dog did manage to snag the prize for best single round score though, with an impressive 87 in Wales. Congratulations to you both! If you are the Hot Dog Flavored Water please email me at howdeedoodat@gmail.com so I can send you your prize. Now on to the 2019 stuff. We’ve got a good thing going with the rules so far, so we’re sticking with the same as last year. For each round you are to pick five drivers, ranked in the order you expect them to finish. This year you may pick up to two factory drivers from each manufacturer team. The factory drivers are as follows: HYUNDAI - Neuville, Mikkelsen, Loeb, Sordo. CITROEN - Ogier, Lappi M-SPORT - Suninen, Evans, Tidemand TOYOTA - Latvala, Tanak, Meeke. All other drivers will be considered independents. While the fantasy preview posts typically only make mention of the WRC drivers, all entered drivers are eligible for fantasy competition, be them WRC, WRC2, RGT, etc. You must also select the driver you think will win the power stage. Your power stage pick can be absolutely anyone, including one of your five main drivers or a teammate of one of your five main drivers. You can also sign up for fantasy reminders. Provide me with your Twitter account or email and I’ll let you know when the latest Fantasy Preview post has gone up. While I will do my best to put out notifications every round I can’t guarantee work won’t get in the way of this like last year, I advise putting the event calendar in your phone or something as a backup plan. The deadline for picks is the official start time of the event’s first stage. You can get your picks in late, but you will be penalized five points for each stage started before you post your picks. Once you’ve posted your picks you cannot change them with one exception: if one or more of your drivers has an incident (crash, illness, injury, withdrawal, etc) after you’ve made your picks but before the start of the rally you may adjust their position in your roster or replace them entirely without penalty. When making your alterations/substitutions you must state the reason for the change. At the end of the season your best nine rounds will be counted and your worst four will be dropped. That means if you started late, missed a couple rounds, or managed to have all your picks drive off the same cliff in Portugal it won’t ruin your season. The season standings will be maintained in this Google Spreadsheet. I will try to always(ish) have the stats updated by Thursday at the latest. (1) for each of your five main drivers you earn the same amount of points the driver earned (minus their earned power stage points). (2) the top five power stage finishing drivers will earn fantasy points, with those points being given out as follows: 1st-6pts, 2nd-4pts, 3rd-3pts, 4th-2pts, 5th-1pts. (3) If the driver you predicted to win does, in fact, win, you will earn three bonus points. (4) If all five of your fantasy drivers finish in the points in the order you predicted you will earn ten bonus points. (5) Each fantasy competitors nine best rounds will be counted toward their final season score. That means if a player is forced to miss a couple rounds or simply gets their picks all wrong a few times it won’t necessarily cost them a decent result. (6) Tie breakers: If, at the end of the season, there is a tie at the top of the standings (or a tie for highest single round score), the tie will be broken using the following methods, in order: Most round wins, round 2nd place, round 3 place, round top 5’s, round top 10’s, battle of wits to the death. Before each rally you pick five drivers. You can pick up to two drivers from each team. You also pick a driver for the power stage (final stage of the rally). He can be absolutely anyone, including one of the five drivers you already picked. Put your five drivers in the order you think they’ll finish. You will receive the number of championship points your driver earns in the rally. Prizes are back! There will be two prize-winners at the end of the season, the overall season champion and the player who scored the most points in a single round. 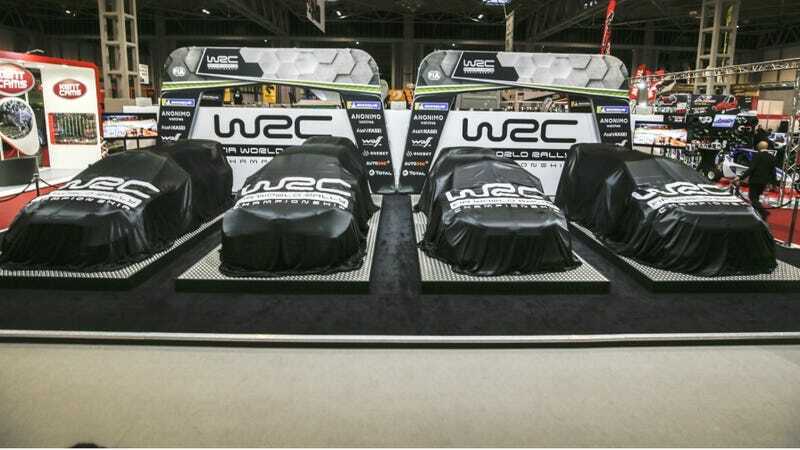 ** Each will get their choice of 1:43 scale model rally cars, with the season champion getting first pick. Due to shipping costs only U.S. and Canadian residents will be eligible for the pictured prizes. Fantasy players outside the U.S./Canada are still eligible for a 1:43 scale model, with the exact model they receive TBD by availability. If the season champion is also the player with the highest single round the player will get both prizes, and because I’m a softie the player with the next highest single round will receive a prize as well. And here we go, straight into the first round of 2019, the most prestigious rally in the world, Rallye Monte Carlo. If you don’t already know the rally and what it brings then I wonder if Fantasy WRC is really your thing, but here’s a refresher anyways. Rallye Monte Carlo is a tarmac rally with a tendency to be part ice/snow courtesy of some stages twisting up into the Alps. Grip is extremely unpredictable, there is no correct tire choice, and sometimes the secret to winning is crawling through a section of ice at 20 mph on tarmac tires. Last year half the WRC field was over a minute behind by the end of the second stage thanks to the icy conditions and getting stuck in the magnetic snow lining the roads. This is an unpredictable rally at the best of times, and this year that’s amplified by silly season’s game of musical chairs. Seb Ogier, who hasn’t once missed the top step of the podium here in the past five years, now finds himself back at Citroen. The C3 has proven itself to be fast, earming wins with Kris Meeke and Sebastien Loeb, but it also seems to have a narrow window of operation where it works well, and dire consequences outside that window. Can Ogier keep his streak alive? The other Seb, Sebastien Loeb, is the only other driver on the entry list who has won in Monte Carlo, and like his younger compatriot he too is in a new car this year, switching to Hyundai for 2019. Loeb had limited testing due to running the Dakar over the past two weeks, but he’s also Loeb (for those who missed it he was by far the fastest driver in Dakar and only missed the win due to mechanical woes, still finishing third). Can he reclaim his Monte crown? And what about Tanak? Lappi? Latvala? Neuville? Meeke? All fast, all thirsty for a win here. Here’s the official Entry List, and the current fantasy points spreadsheet (surprise! It’s blank!). And while you’re at it, you can also look at the driver’s data and statistics here.